Most of us hardly have time to hang up the washing so there’s definitely no way we have time to deal with a cold. 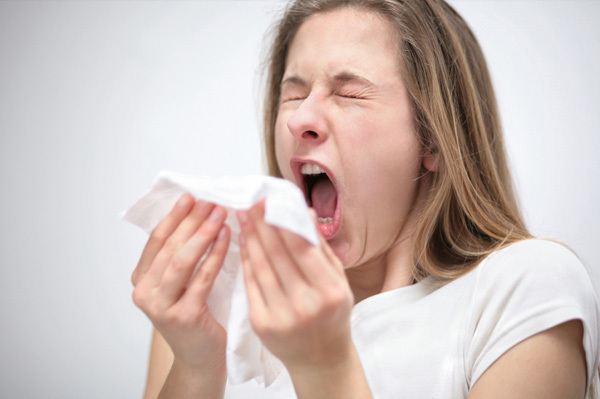 Prevent catching a cold this season by following these easy tips. As the cooler weather kicks in and colds start claiming casualties, you might begin to feel a bit of a sore the throat, a runny nose or a headache coming on. But if you’re anything like us and simply don’t have time to be sick, you better follow these tips to boost your immune system and stop a cold before it starts. It’s been said many times before, but we’ll say it again: Vitamin C is key to maintaining immune system health and battling infections. Stock up on plenty of foods rich in the big C, like oranges, capsicums, kiwi fruit and berries. Avoid processed foods and alcohol during this time and instead go for natural, healthy options. Zinc is also said to play a key role in boosting your immunity so fill up on zinc-rich foods like seeds, nuts and broccoli. Increase your liquid intake as much as you can by drinking plenty of water and herbal tea with a squeeze of lemon for added benefits. Eat meals that have a high water content and are gentle on the stomach, such as a vegetable soup. Yep, drag the kids outta there and fill a nice steamy bath for yourself. Add a few essential oils like eucalyptus if you have them on hand. Ideally, you should be getting about eight or nine hours sleep a night. But let’s face it, when you’ve got a ton of work to get through, a snoring husband and kids up at the crack of dawn, nine hours might sound like a fantasy rather than a reality. But when you feel a cold coming on, it’s essential to make good sleep a priority. Warn the family, assign chores to the kids and slip into those cosy PJs. Pushing yourself to the limit with an intense workout will only put further strain on your body, so take it down a notch when you’re not feeling your best. But there’s also no reason why you should give up exercise completely. Opt for gentle exercise like an easy stroll around the block to boost your mood and get the benefits of fresh air. A few calming yoga poses might help too. Salute to the Sun, for example, is believed to stimulate the lymphatic system and boost the health of the respiratory system.